Travelling to different places is indeed refreshing, invigorating, and relaxing. The old adage tan lines fade but memories last is quite true. Before you find your way to any tourism destinations like Palawan and other places, it is necessary to do a little homework on what does a responsible tourist has to do. It may sound so negative or kill joy but once you set foot on a beach or an island, you don’t just grab any marine resource like a starfish for posterity’s sake. It is saddening to see how people disregard the possible effects of their actions whether positive or negative to the ecosystem. 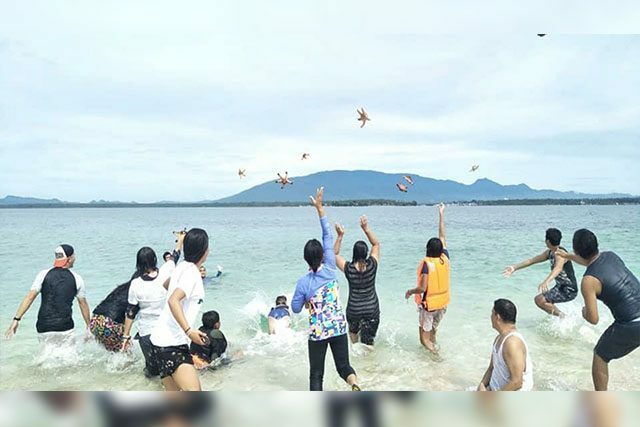 Few months ago, photos of a group of people were circulating the internet showing each of them holding a starfish. And when someone informed them it is not allowed, these people carelessly tossed the starfishes back to the sea without regard. Frustrating. Starfishes are not supposed to be exposed to air as it will damage their vascular system which allows them to move, digest, and breathe. This is an exact example why responsible tourism is necessary. We may never know exactly about the dynamics of ecosystem but we can at least be responsible for our own actions and how we affect not only the people around us but other living organisms as well. Being aware and informed doesn’t hurt at all. Before you take your swimsuits and take the plunge I suggest going through the internet for a little homework is necessary. Be aware of the basic environmental policies implemented your next tourism destination such as waste disposal, animal protection, conservation initiatives and the like. For basics, I have here a few to take note of. Practice waste segregation and proper waste disposal. Refill water bottles at designated stations. Read signage, flyers, and information sheets. Attend information dissemination and tourists orientation. Take nothing but photos. Don’t take little things with you such corals, stones, and etc. Don’t touch any living organism without knowledge of proper handling. Don’t stand on corals or touch them as it may cause permanent damage. Support local vendors and tourism operators. Do not introduce any foreign food or object to indigenous peoples. A little homework doesn’t hurt, indeed. Besides, that’s the main point of travelling, to learn about different places and cultures. Sand, sun, and the sea! The usual thoughts when we are thinking of summer. In tropical countries like the Philippines, summer is usually from March to May but we can already feel the weather as early as mid-February. We hardly have rains these days and the temperature has started to go up to around 28-30 degrees. Palawan is one of the tourism attractions in the country. It is known for its white sand beaches, pristine environment, and diverse flora and fauna. Among the common stops are El Nido, Coron, the Underground River, and Honda Bay. Aside from these, there are still a lot of undeveloped destinations worth the while of every tourist who wants to see the best of nature in the province. Springs, falls, century-old trees, and lakes worth the hike are still being developed to be opened to public sooner or later. Among the common destinations where you can enjoy white sand beaches with minimal to no tourist influx is Port Barton in San Vicente. It is located in the northern part of the province. From the center of development, Puerto Princesa City, it only takes around 3-4 hours travel by shuttle vans and buses to get there. I have here a map of the country showing where this beautiful place is situated. This is my personal go-to place whenever I feel tried of the city life and would like to enjoy listening to the waves in the sea. As a tourist attraction, Palawan is quite busy during summertime. It is common to see a lot of tourists in the streets, terminals, and at the beaches like El Nido, Coron, and the like. It is exciting but it can be quite exhausting too. Please don’t get me wrong, but isn’t nice to enjoy the beach with lesser people around? Be able to hear the waves, birds, and enjoy sunset with lesser crowd? If you are looking for such place then Port Barton is the place to be. Let’s take a look on what we can do there on during summer. Island hopping is available if you want to see other islands and beaches such as Starfish & German Islands, and the tortoises at the Marine Sanctuary. I strongly suggest to avail this because each of the islands is worth seeing and you’d get the chance to be amazed by the tortoises at the sanctuary. Aside from these, there is also a falls worth the hike to enjoy nature from a different perspective. Here is a photo of Port Barton Beach where all the boats available for island hopping are found. Everytime I found myself in this place, I take the time to hang around until sun down. It’s refreshing. If I can only afford to leave my job and settle here for good I’d probably will. About food, there are a couple of local restaurants available until around 9:00 in the evening, both for meat-lovers and vegans. Yes, there are vegan cuisines in the area too at affordable prices. A few bars are open at night and those by the beach are open until midnight. Accommodation is one important factor in choosing a tourist attraction. Port Barton offers various accommodations to choose from. There are hostels, bed & breakfast, glamping, and resorts. I stayed at Nellie’s when I was there. It is a family business owned by very hospitable and nice people. Palawan is, indeed, the last ecological frontier. Hong Kong is not only known for it’s tourist sites but also for marriages between foreign nationals. I couldn’t blame people who opt to tie the knot in HK, it’s convenient, solemn, and exciting too. I am a Filipina and dated a foreign national for almost two (2) years before we finally decided to take the relationship into the next level. Initially, we have considered marrying in my own country but the process would take longer and we both wanted to only have a few guests to celebrate with. For those who are familiar with the how marriages are celebrated in the Philippines would understand that celebrating a marriage with only a few important people is quite impossible in the country. After a thorough discussion of both pros and cons, we have finally decided to go to HK. Set an appointment for the intended marriage. You can check out the vacant slots thru their webpage. The website provides a comprehensive information about marriages such as booking, making an appointment, and how to submit the required information for the intended marriage. Other necessary information about marriage in HK can be found here. Notarized Notice of Intended Marriage. Download the form here. Prepare a bank note for the application fee of HK$ 305. Fees vary according to preference whether to have the ceremony during office hours or outside office hours. Information on other related fees are also available at the website. Once the documents are ready and you have selected a preferred date, you may finally send all the necessary documents to HK Registry of Marriage. Now, there are different procedures in sending it out whether you are living in HK or from other cities and countries. Submission of all documents from outside of HK can be done by post or courier and shall be done at least 15 working days to 3 months before the preferred date. Make sure to check all documents a couple of times before sending out the package to HK. We dont want any delays in our marriage just because of an overlooked typos or something. All names have to be the same with those on the passports. That’s it! Good luck and best wishes! Research is a daunting task, that is a common notion among students when it comes to writing their thesis proposals and manuscripts. A topic in mind is a good thing but to put it in writing is another thing. How to present your quest for a scientific finding is a common challenge among students in a prescribed academic format. Such formats vary according to the standards of academic institutions. In the academic setting, proposals and manuscripts often begin with an introduction. Normally it is limited to 1-2 pages and has to provide enough information why is there a need to conduct the study. Relevant background is necessary to set the expectations of the reviewers and readers that the chosen topic is worth their while. Looking for related and relevant references is not so difficult these days given a variety of academic journals and web pages available. Now the question is, how to write a good introduction for a thesis proposal? The figure above shows a guide how to present a good introduction for a thesis proposal or manuscript. It begins with a related general statement about the selected topic which serves as a background. What is the scenario about the topic in the broader context? Are there related studies conducted in other countries and what are the new findings so far? Normally, it is consists of a paragraph with a maximum of 4 sentences. Then, present a gap in the study. It has to provide relevant information why there is a need to pursue it. What are the scenarios in the local context? Why is it necessary to conduct the study? It is worth noting that the proposed study has to be unique and no other studies have been conducted yet. Determine the benefits and the importance of the selected topic. Lastly, you can narrow down to the main context of the study. Why is it important to pursue the selected topic at the local setting. Provide the research questions or the aims of the proposed study and briefly state how you intend to do it. As the image above shows, the introduction has to start with a general statement and narrows down to the proposed study; from a broader context to the specific. Just like an inverted triangle, it begins with a bigger scenario down to the main aim of the study. I’ve mentioned in my previous posts that I always make it a point to bring students to the Underground River National Park every year. My main objective is to give the younger generations a sense of pride about the natural resources in Palawan. In addition to that, it serves as a breather for people like me who handle different jobs in a day. 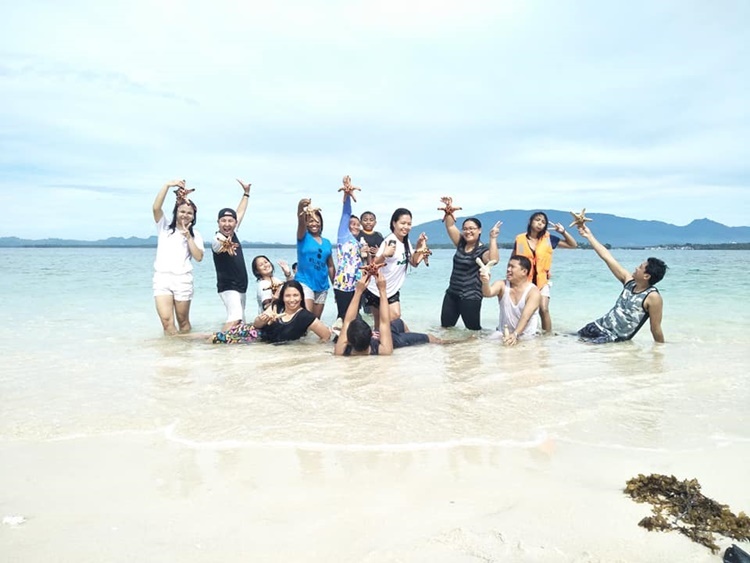 Last school year, I brought a class of environmental students to get the perceptions of tourists on the services being provided in Sitio Sabang, Barangay Cabayugan. It serves as the wharf or portal to the Underground River National Park. I prepared a short questionnaire that the students used in the interview with the tourists. The questionnaire is divided into three parts: demographic information, features of the park and Sitio Sabang that prompted them to visit the place, and the environmental services that they expect to get from the area. The results showed that most of the tourists have an impression about the quality of the environment in Palawan such as quiet, fresh air, beautiful beaches, and “green”. Most of the tourists were first timers and they were happy about the place. There are recommendations on the hand that would make their experiences to be more enjoyable and one of these is an automated teller machine (ATM). They said it would be more convenient for them if there is an ATM in Sitio Sabang. Most of the tourists that day bought pearl jewelries and some of them wished to buy more if there was only an ATM they can use. The short study revealed a lot about the perceptions of the tourists and I would try to publish them one at a time in the next few days. Sitio Sabang in Barangay Cabayugan serves as the wharf or portal to the Underground River National Park in Puerto Princesa City, Palawan. Every summer I get to see the wonderful beauty of the place for an activity with my students. Few days ago, I was there and I cant help but fell in love with its beauty all over again. The long beach and white sand for everyone to enjoy. Accommodation provided by Daluyon, all solar powered and Daluyon is one of the best operators in the area. Some of the students who posed in front of Sheridan. Thinking of another summer destination? Today I prepared an exam for my students on environmental monitoring and the coverage of the said exam is about biological indicators or the use of organisms as predictors of alterations or changes in the environment. There are different kinds of biological monitoring in assessment of the environment. For air quality, lichens are used to predict the changes or the concentrations of pollutants in the atmosphere. A lichen represents a symbiotic relationship between an algae and fungus. They normally appear like green or white patches in the barks of the trees. You have to look closer to notice the branches and leaves of the mini forest. The colors and shades of a lichen indicate the concentration of pollutants in the air. There are species sensitive to sulfur dioxide and there are species that can tolerate a certain amount of nitrous oxide. Generally, none of them can tolerate longer exposure to SOx and NOx and it may be difficult to spot a lichen in an urban setting. A year ago, I brought my class to Sabang area which serves as the portal to the Underground River National Park. I taught them how to measure and map lichens. The field trip was just to let the students experience first hand how to use biological indicators in the assessment of air quality. The students during their field exposure. Everything about the environment are very interesting and as an instructor, I still learn every time I take my students out in the field.